Best Rifle Scope Under 500 In 2019 - Top 5 Scopes Reviewed by Expert! When it comes to rifle scopes, you will definitely get what you pay for. For a budget of 500 bucks, you can be sure of getting a solid scope that performs well. You can expect a durable scope that can long range to medium shots. For many people, finding the best rifle scope under 500 isn't easy. There are different models available with varying features and specifications which makes choosing the right one tough. However, if you are armed with the right information, selecting your ideal scope for that price range should not trouble you. In this guide and review, I have provided you with quality scopes under 500 that will suit hunting and target shooting. I have also included a buying guide to guide you further when choosing your ideal rifle scope. Best Rifle Scope Under 500 Detailed Comparisons! Rifle scopes come in varying features and capabilities. If you want to get a quality scope for hunting or target shooting, the following reviews will help you identify the best scope under 500 on the market today. If you are a hunter or a shooter, the Diamondback HP riflescope will be a great addition in your gear. The scope is packed with an array of features that any hunter will appreciate. It allows you to achieve a quick and simple reticle focusing so that you can hit your targets accurately. It has a Dead-Hold BDC reticle that is ideal for hunting and shooting at different ranges. With this riflescope, you can get optimal image focus without parallax. The scope has a side focus that you can easily access from the shooting position for better image focus. On top of that, it has a fast focus eyepiece for easy and quick reticle focusing. 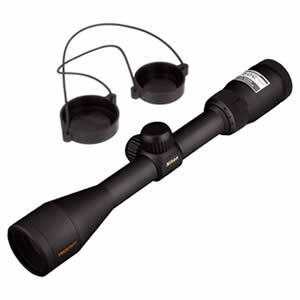 A good hunting scope should have the ability to withstand all types of weather conditions. This model has a shockproof construction so you don't have to worry even when you drop it accidentally. Additionally, it is waterproof and featuring strong o-seals to enhance its durability. Scopes are not designed the same and if you don't pick the right model, you might end up with a scope that provides poor quality images. This model has XR fully multi-coated lenses and extra-low dispersion glass that help you get clear and sharper images with more light transmission. Are you looking for a rifle scope that can withstand even the heaviest abuse? You can try the Bushnell 452104 model and enjoy a superb performance. This scope is compact and gives you the opportunity to use it even in the most unforgiving condition. It works well when it is dim or wet. The scope brags of an ultra-wideband coating for the best performance in low light conditions. The optics of the scope work well to provide effective light transmission. Unlike other scopes, this model has up to 94% light transmission. You can expect crystal clear images when you are aiming at your target and maximum brightens when using it in low light conditions. The scope has an impressive craftsmanship making it perfect for use even in the worst weather conditions. With its 1-piece tube design, RainGuard HD, waterproof, fog proof and shockproof construction, you are not limited to use it. A good rifle scope should have the ability to withstand recoil from rifles. After all, you do not want to keep setting your scope after every shot. This model has a magnum recoilproof construction so you don't have to worry when using it with high caliber rifles for hunting. 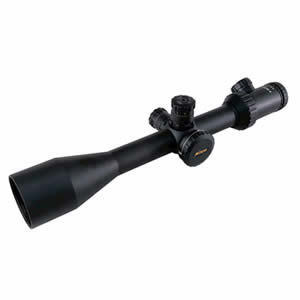 If you are an avid hunter, then you know it is hard to hunt if you do not have a quality riflescope. This is why you need a quality riflescope like the Nikon ProStaff for the best hunting experience. This scope is great when you need more magnification. Regardless of the condition out there, this scope helps you stay on your target. The optic system of the scope is fully multicoated to help in light transmission. This helps you to achieve bright and high contrast images all the time. This is a nice reticle that helps hunters to hold dead on even on impossible ranges. The reticle has exceptional see-through ballistic circles that provide a better performance in long-range shooting. The scope is also perfect for short range shooting because it utilizes crosshair as the aiming point. Using this scope makes hunting easy and fun. Hunters can adjust their bullet drops up to 600 yards. If you are a hunter who prefers a heavy cover, then this is the right riflescope to choose. It has a large diameter objective lens (40mm) and a wider magnification. The magnification of the cope is flexible and versatile at ranges from heavy timber to open prairies. The magnification works well even when there are wide trees or wide planes on the landscape. This is an amazing scope that helps you to get clear images even in low light situations. The scope has an adjustable green illumination which features 10 brightness settings to provide users with precision regardless of the light condition. If durability is also your major concern in a rifle scope, this model has got you covered because it is made with 100 percent quality materials that have been put through tests. The scope provides you with a magnification from 4x to 16x. You can zoom your objects and still get quality images. It comes with a 50mm objective lens that gathers more light to provide you with crystal clear images. A rifle scope would be useless if it doesn't provide you with clear images. 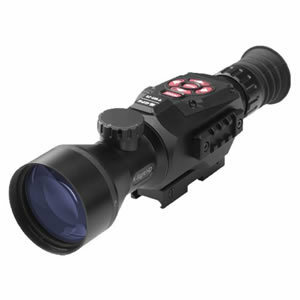 For maximum light transmission, this scope is designed with multicoated optics which so you can get sharper images. The way the lens is designed and assembled reduces color aberrations and off-color fringe. If you do not want to keep adjusting your scope after every shot, then you need to consider a good model that can absorb higher recoil from high caliber rifles. The scope does an impressive job in handling recoil and other conditions in the field which gives you a reliable performance. Versatility and speed are some of the outstanding features that make this rifle scope popular among many hunters. With the scope, you can achieve a quick target acquisition in close quarter instances. When you need to shoot objects at a distance, you just need to adjust the scope to six power. The scope has top quality fully multi-coated lenses that help you get bright and clear images even in low light situations. The eyepiece of the scope features a fast focus dial to ensure that the reticle remains sharp all the time. If you are buying the scope for hunting, then you need a quality model that can handle abuse from any weather condition. 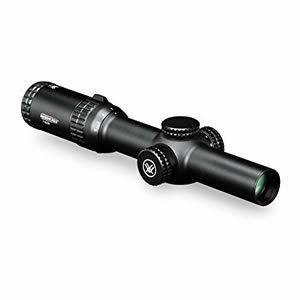 The scope is designed with an aircraft grade aluminum tube that is fog proof and waterproof. This means that you can use the scope in all weather conditions without compromising its performance. The scope has glass-etched BDC reticle with 11 illumination settings to handle varying light conditions. You can achieve precise aiming at your targets in low light situations. The reticle can maintain almost the same sized appearance and it works well in estimating range, drift correction and holdover at a higher magnification. Are you looking for a quality scope that you can use both during the day at night and get quality images? The ATN X-Sight II HD 5-20 has been designed for that purpose. The scope brags of HD technology that offers you with crystal clear images whenever you need them. It also provides you with day and night vision in so many colors making it one of the best hunting scopes on the market today. 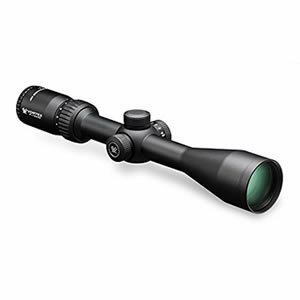 Unlike other scopes, this model is packed with quality features that every hunter will love. It has a ballistic calculator that shifts the point of impact on the fly by giving you the chance to calculate ballistics for angled shots and long-range shooting. Would you love to take photos and record videos of your hunting trip? This scope allows you to do that with ease. It has 1080 HD video recording and allows you to take photos. The recoil activated video and Wi-Fi streaming give you the opportunity to record your hunting trip with your phone or tablet as the viewfinder. Hunting has never been easy and fun when you have this scope. With its smart rangefinder, you can identify your target range with just two clicks. After it identifies your target, it will adjust the point of impact automatically. What should you check out when you are buying a rifle scope? Selecting a rifle scope should not be difficult if you know what you are looking for. Check out some important things to keep in mind when buying a rifle scope. You don't want to end up with a rifle scope that is difficult to use. No one loves to spend the whole time adjusting the elevation or windage of the scope. If you want to enjoy your shooting experience, select a rifle scope that is easy to use. A good rifle scope should allow you to do your things in a natural way without checking the scope. For instance, if you are aiming at a moving target, once you take your eyes off, you end up losing the target. This is why it is crucial to look for a rifle scope that you can adjust with ease. 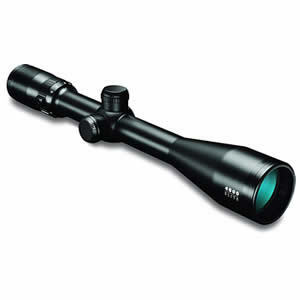 If you are looking for a rifle scope for hunting, then you should be concerned about its durability. This is because you will be prone to use the scope even when the weather is not friendly. Ensure that your scope can handle all outdoor conditions so that it can serve you for many years. You can use it when it is foggy or raining without worrying about damaging the scope. Additionally, if you will be using a powerful weapon, it is prudent to buy a scope that can absorb the recoil. You don't want a scope where you keep setting it after every shot, right? The level of magnification refers to the point in which an item can be expanded when you zoom. For a budget of under $500, you can get a nice scope with a magnification starting from 4x. The scopes are also available in an upper magnification of 20x or 25x. The field of view is another vital consideration to think about when you are buying a rifle scope. If you are aiming at quick moving objects, then you need a scope with a wide field of view. If you an experienced shooter, a scope with a small field of view will be fine. It is great if you can use the scope in different applications. Rifle scopes can be used for hunting and target practice. In most cases, a good hunting scope can work well when it comes to target hitting. However, not all scopes for target hitting can work well for hunting. How much light can enter the scope? Reflected light is a common obstruction of light transmission in many scopes. This is why many scopes under $500 are designed with multicoated lenses for effective light transmission. Is the scope waterproof and fog proof? 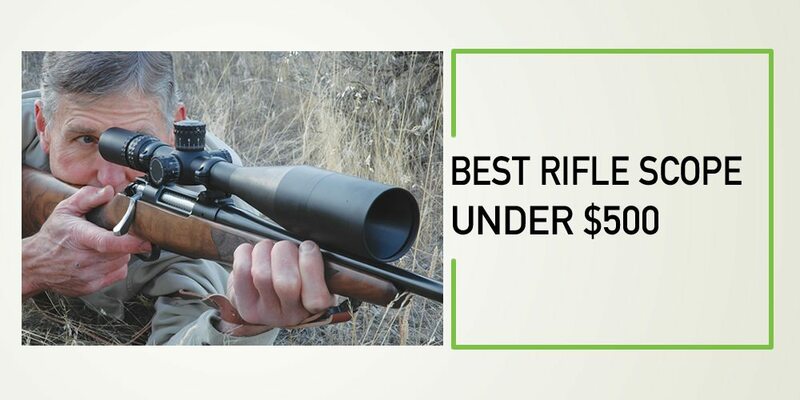 There are thousands of scope that would have fallen under the category of best rifle scopes under $500. However, I only reviewed the top models on the market. These are great scopes that work well, have excellent features and they don't compromise quality. They are designed with quality materials to assure you of longer use and give you a good value for your money. After comparing the qualities, performance, benefits, and drawbacks of the above rifle scopes, am sure it will be easy for you to pick a quality scope that will meet your shooting needs. Best Rifle Scopes Under 200 Dollars – Top 5 Models Reviewed! Best Rifle Scope Under 1000 Dollars – Top 5 Models Compared!